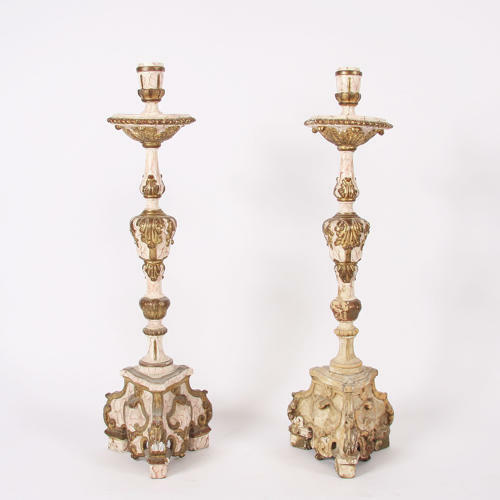 A pair of tall, ornate, antique altar candlesticks, on three feet. With a beautifully sculpted shape and elegantly painted in gold and cream, with a patinated finish. The two-tone giltwood altar sticks are in excellent condition.